Gail Penberthy has designed this show stopping quilt and cushion out of fleece and the seems are brought to the front and carefully cut to give it a wonderful fringed edge. I believe that this quilt would suit any age and you can have fun appliquing the shapes onto the fleece. 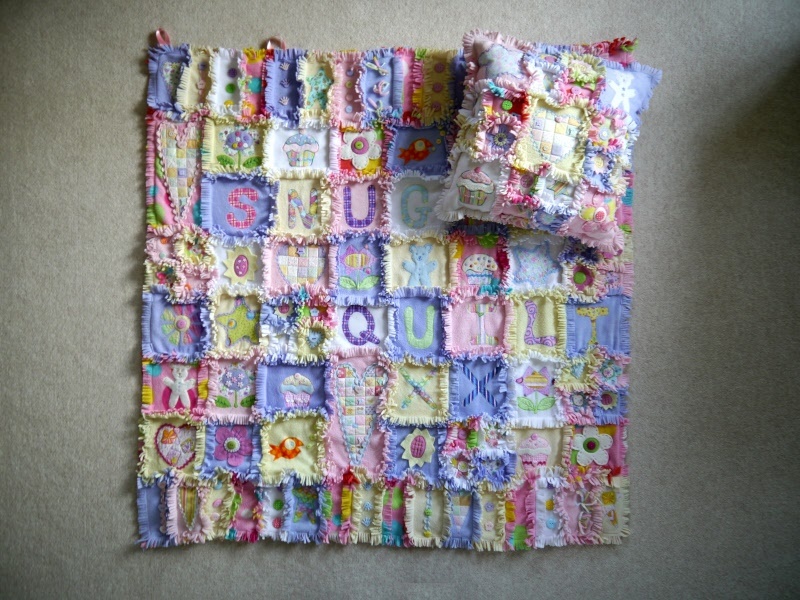 The quilt measures approximately 50x50 inches and the cushion is approxiamately 18 inches square.You get a button pack to start embellishing your beautiful project.